Running and fitness online retail specialist, realbuzz.com, has been unveiled as the new title sponsor for this autumn’s Richmond RUNFEST. 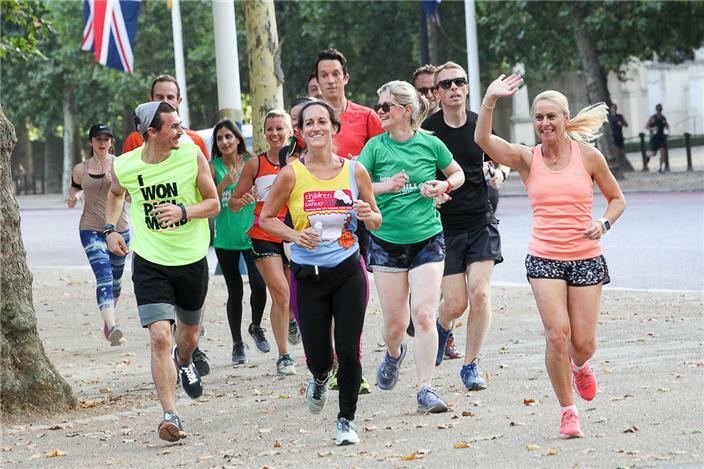 One hundred runners plus GB Olympian and World Athletics medallist, Jenny Meadows, gathered at the new realbuzz Piccadilly Circus store to enjoy the celebrations and a team 5k training run around St James’ Park. To add to the buzz of the night, the race team also revealed the newest addition to the event line-up - the Richmond 5k: Pirate Run. Taking place at 12.30 on Saturday 15th September, the Richmond 5k: Pirate Run will enjoy an action packed journey round Old Deer Park. The race will be chip-timed and runners will receive a t-shirt and race medal. Over 8,000 runners will gather at Kew Gardens across the weekend of 15th and 16thSeptember to enjoy the sixth edition of this hugely popular running festival. Tom Bedford, Race Director adds: “We are so proud to welcome realbuzz.com to the Richmond RunFest family and look forward to a brilliant festival in September. The two teams fit perfectly together with one common goal; to encourage more people of all ages and fitness abilities to enjoy the sport of running. Saturday 15th: Newly unveiled and open for entries, Richmond 5k; Pirate Run, two loops of Old Deer Park (12.30). Race entry: £12.00. Followed by 1,500 kids running in the Richmond Kids Mile. Race entry: £10. Saturday 15th: London’s flattest 10k running entirely inside the Royal Botanic Gardens with views of the newly restored Temperate House. Flat, fast; great for PB hunters. Sunday 16th: Half and full marathon through Kew Gardens, Ham House and Hampton Court Palace. Sunday 16th: Family Mile, a fun run at Old Deer Park for children over the age of 5 and their families. Goddess of Victory Challenge: run two races across the weekend including 5k or 10k and half or full marathon to be in with the chance of an exclusive medal, Goddess of Victory ranking and prize money.